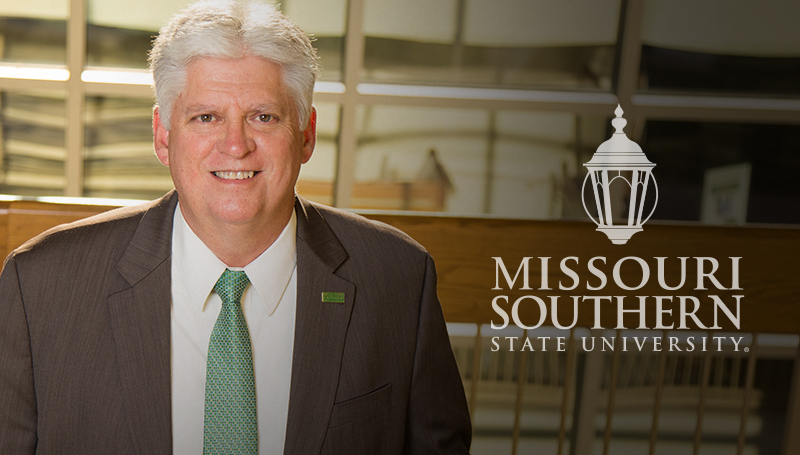 As a student at Missouri Southern back in the 1970s, I never dreamed that I would one day have the honor of serving as its president. I still smile as I walk through our buildings and see the very places where my educational journey began and so many deep and personal memories were created. How do you begin to care about something? We all have memories and experiences that are meaningful to us, and those feelings are what fuel our passions and build our loyalty. It’s why some of our alumni who attended decades ago still visit our campus from time to time, or make gifts to our Foundation for programs that are important to them. For many of us, the two things that make us realize how much we really care are our families and our careers. For me, Missouri Southern is a major connection to both. When I returned to this campus in 2013 to accept the presidency, my life quickly became all about MSSU, and it was a joyous occasion because I truly love this university. It’s the place where I first encountered the classes and professors who challenged me not just to study and pass tests, but also to appreciate alternative viewpoints, think critically, and solve problems. My Missouri Southern years were very good years. The experiences I had and the memories I forged have been with me throughout my life. Many of the people I met continue to be my close friends today. Lori and I saw that connection continue when our twin sons, Dexter and Logan, enrolled at MSSU. This spring, it was our great joy to see them cross the stage as graduates. It seems like just yesterday they were taking their first steps. (Speaking of first steps, we were thrilled to learn recently that our daughter Jessica and her husband, Caleb, will be welcoming a baby this winter – our first grandchild.) Caleb is an MSSU alum also – Lion Pride runs deep in our family. It’s a similar feeling of passion and loyalty that has driven me to spend so much time working with Missouri legislators on our institution’s need for greater state funding and/or increased tuition revenue. For too many years, MSSU has been at the bottom of the “revenue list” when compared to other Missouri public universities. This problem culminated recently with many important voices supporting a much-needed tuition increase at Missouri Southern. It wasn’t easy work for any of us, and the reality of our underfunding situation wasn’t always something the decision-makers wanted to hear. But month after month, we analyzed the numbers, reduced costs, and advocated tirelessly for this incredible university. And we did it for one simple reason: We love this institution and its students, and we want them to continue to have the best education possible – now, and for generations to come. Best wishes as you continue to discover the things that give you a sense of passion and loyalty. I trust one of them is the foundation you built at Missouri Southern State University.